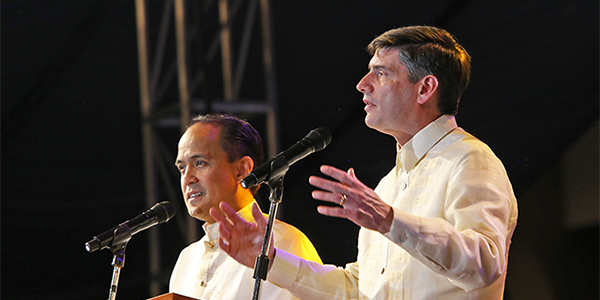 Evangelist Will Graham returned to the Philippines in February to hold an eight-day, nine-event evangelistic campaign that took place in multiple locations in and around Manila. The Greater Pangasinan-Metro Manila Celebration with Will Graham was held Feb. 9-17. All told, 149,656 people attended the events, and more than 19,400 responded to the invitation to make a commitment to Jesus. This Celebration marked the first time that all three generations of Graham evangelists have preached from the same venue in the same city. Will’s grandfather, Billy Graham, preached a Crusade at Rizal Park in 1977 and Will’s father, Franklin Graham, held an evangelistic Festival in 2006 in the same location. For more information on upcoming events at the Billy Graham Evangelistic Association, visit billygraham.org. This entry was posted in Billy Graham on April 14, 2019 by editor.